The long-term prospects before Bulgarian stocks are definitely positive, Dimitar Georgiev, financial expert and broker in Elana Trading, said at a business forum in Pleven. Georgiev, however, pointed out that we are currently witnessing the longest and deepest correction of the stock market in the country so far – stock prices have been falling for more than three months and a half. The main indexes have lost one third of their value during the past three months, which was mainly attributed to the unfavorable situation on the global markets. 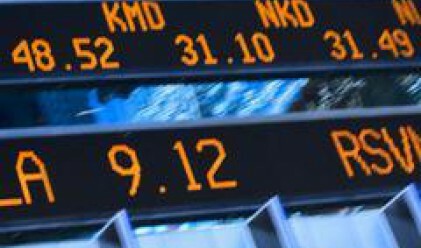 The Bulgarian Stock Exchange seemed a little isolated from the global markets until last August, but since then we have been witnessing a stronger correlation, the financial expert added. In Bulgaria right now the percentage of the population investing in stocks stays less than 1%, compared with 20% in Europe, and more than 50% in the US. Elana Trading's national awareness campaign aims at pointing out the advantages of the capital market for the individual investor. The forums will be held in eight large Bulgarian cities, where experts will explain how we can benefit from stock trading and what are the risks the market is hiding.